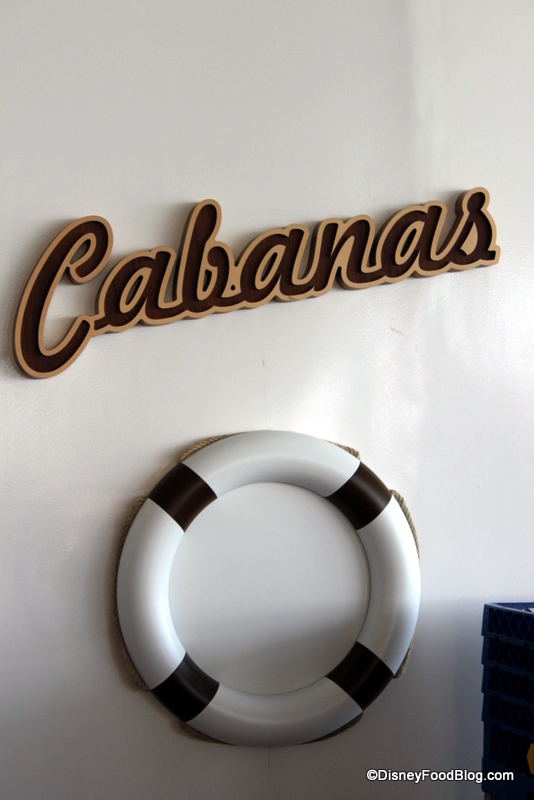 On the Disney Dream Cruise Ship, Disney Cruise Line’s newest vessel, Cabanas is the breezy buffet that’s accessible to guests all day long. Stop here for breakfast, lunch, dinner, or a snack no matter what schedule you’re on! 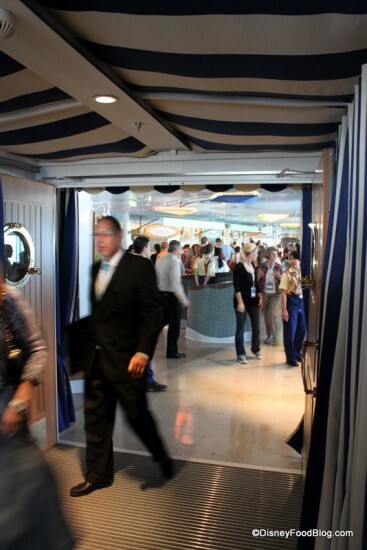 Guests enter the restaurant through a striped canvas bedecked foyer — just like you’re entering your very own cabana! 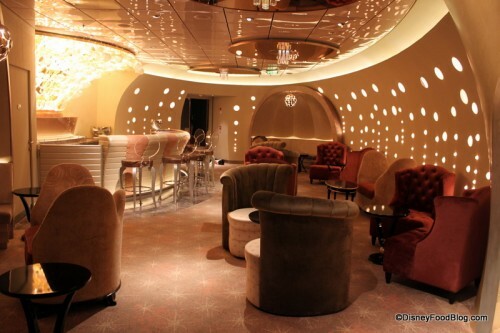 Welcome to guest author Nancy Oates, who’s sharing with us today a visit to the Disney Dream’s Pink Lounge! Take it away, Nancy! 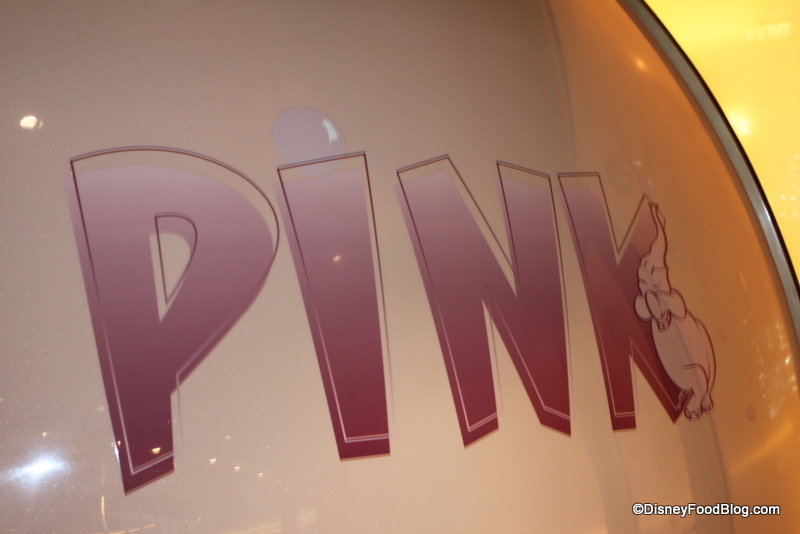 With a name like Pink and a subtle elephant on the door to welcome us, it quickly became clear that we were entering an extension of the Pink Elephants on Parade scene from the movie Dumbo. Fittingly, the lounge was pink and ethereal. 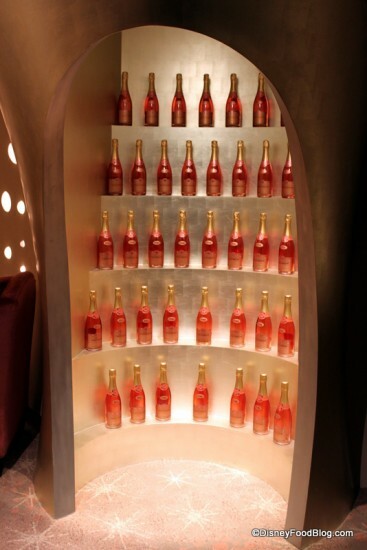 Even the lighting mimicked the bubbles in a champagne glass. 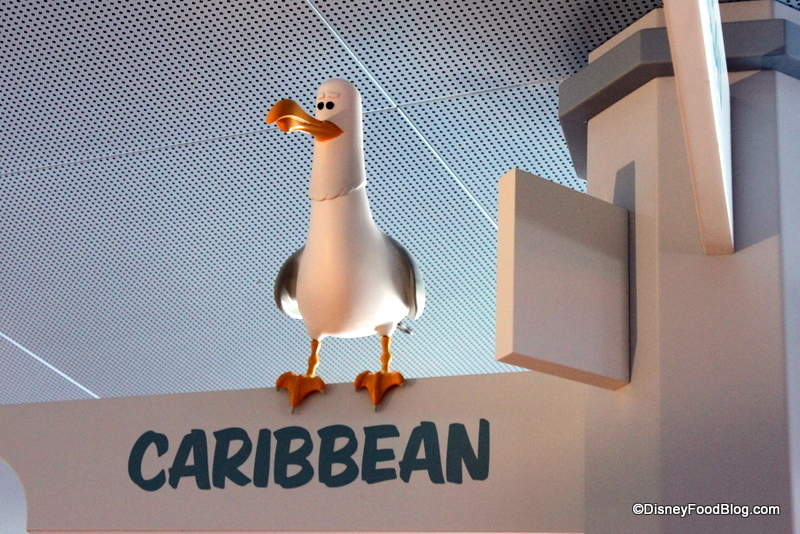 Welcome guest author James Dolan with a thirst-quenching review of mocktails aboard the Disney Dream! There is a big market for “adult beverages.” That is a euphemism for drinks containing alcohol. Those of us who are adults who don’t consume alcohol are left with the routine fountain sodas, plain fruit juices and occasionally a decent bottled root beer. If you’re lucky, you might actually get a Shirley Temple made correctly (with ginger ale), and if you’re really lucky it might have a cherry for garnish. Of course, there is always the standard, uninspired non-alcoholic pina colada or strawberry margarita. Meanwhile, our alcohol-consuming friends are choosing from lengthy lists of “adult beverages” and receiving brightly colored drinks in fancy glasses with artfully placed garnishes. 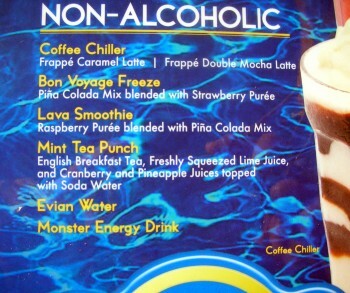 These drinks usually cannot be ordered in a non-alcoholic version because they consist of (big surprise) mostly alcohol. 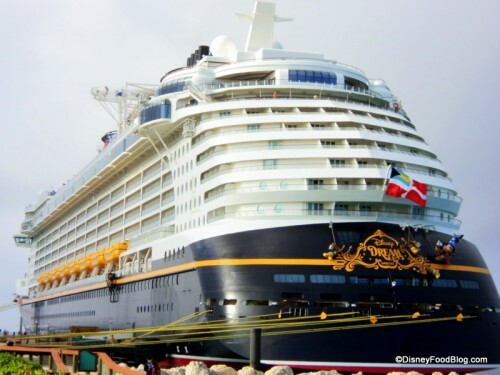 Let’s welcome back guest reviewer, Cheryl Perlmutter, with another restaurant review from the Disney Dream. This time, she dines at Remy and shares her vegan meal with our readers. Thanks, Cheryl! In February, I went on the Disney Dream as part of the WDW Radio Cruise group. When I dine out, I request vegan meals and I am also gluten intolerant. Before boarding the ship, I contacted my travel agency and Disney Special Services. I noted my allergies and dietary needs and made requests. Since I was planning an anniversary dinner on my May 2011 cruise, I decided to do a test run dinner at Remy with my friend Dana. 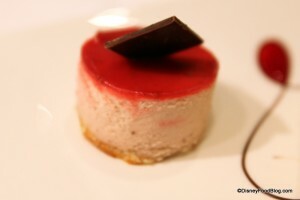 At dinner the previous night, I contacted the restaurant manager who had been assigned to help with my special diet. 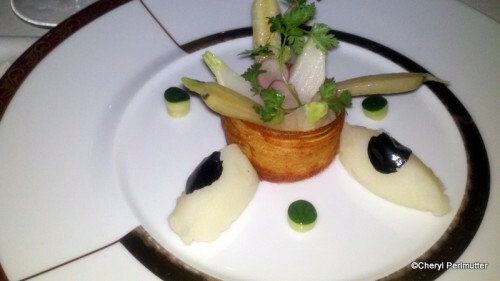 I alerted him that I had dinner planned at Remy, and he notified Remy that I would be dining there the following night. That night, dinner at Remy was excellent – the staff was very accommodating. The cheese course felt awkward as I was not eating, and my suggestion would be for them to get vegan cheeses for the cheese course portion of the meal. 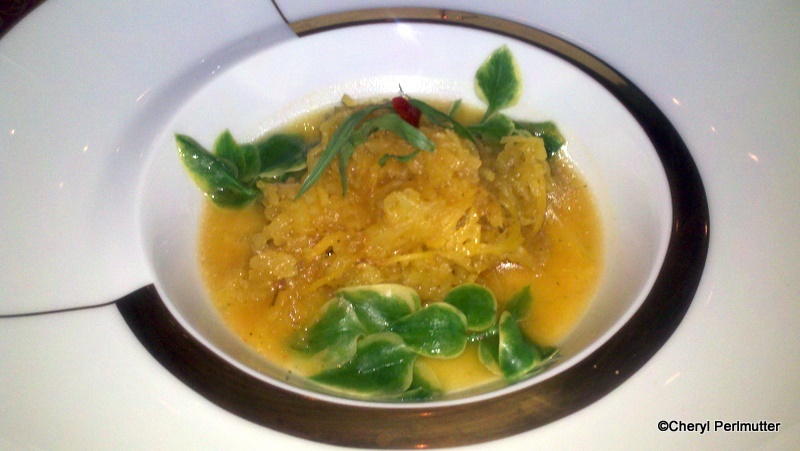 The best dish was the Garlic Potato Puree, while the worst dish was the spaghetti squash as the flavor just wasn’t there. Join us in welcoming Cheryl Perlmutter with a review of dining aboard the Disney Dream with special diets. 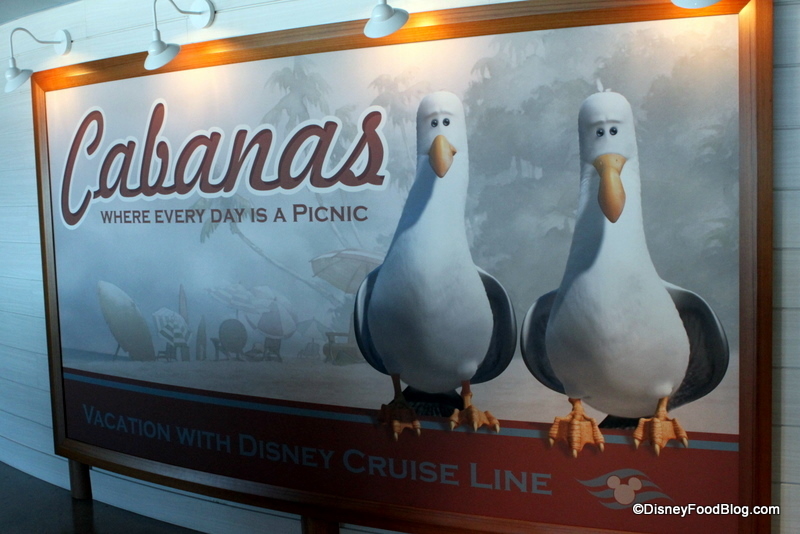 Recently, I went on the Disney Dream as part of the WDW Radio Cruise group. 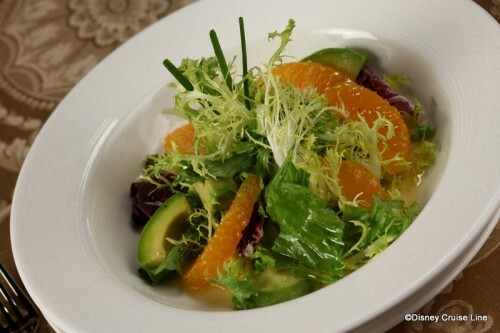 As you may know from prior posts by my husband, Todd, when I dine out, I request vegan meals and I am also gluten intolerant. Before the cruise, I contacted my travel agency and Disney Special Services. I noted my allergies, dietary needs and made special requests. 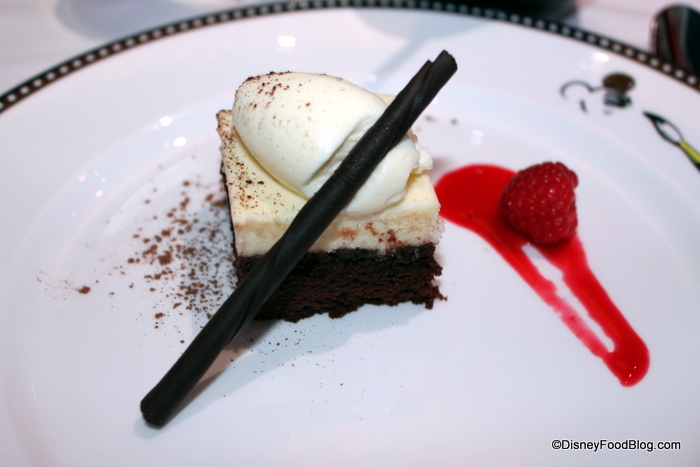 When I sailed on the January Christening Cruise and completed the Disney Dream Dine Around, the dessert at Palo was a highlight. Here’s the recipe so that you can try it at home! 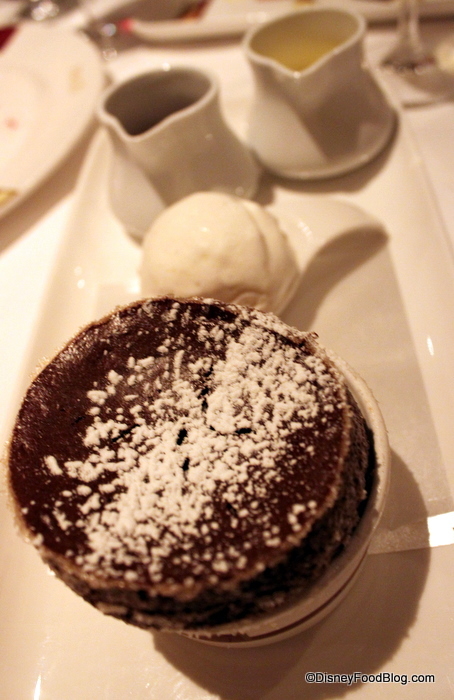 The Chocolate Souffle is the popular dessert created at Palo aboard the Disney Dream. Palo is the adults-only restaurant that requires reservations. When I sailed on the January Christening Cruise and completed the Disney Dream Dine Around, the desserts were scrumptious! If you love to try Disney treats at home, here’s a yummy recipe to try! 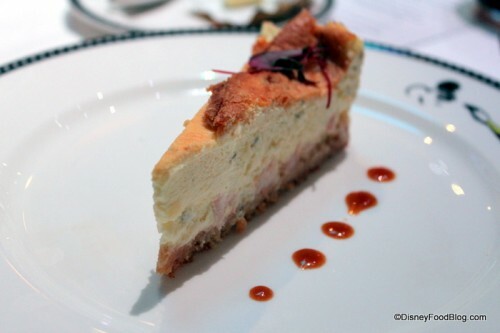 This strawberry cheesecake is served in the Enchanted Garden aboard the Disney Dream. The Enchanted Garden is one of the three restaurants that cruisers can enjoy in their rotational dining. Start planning your meal by checking out the menu. 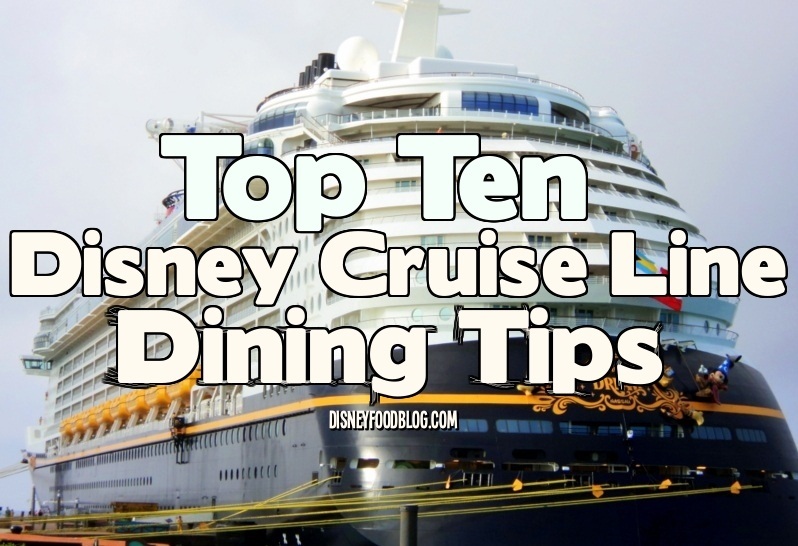 As you know, I’ve been covering my experiences from the January Christening Cruise Disney Dream Dine Around for the past couple of weeks (and there’s more to come! ), and I’m excited to add to the mix recipes from the Disney Cruise Line’s newest ship!